The mail is moving in canada… So I ordered a board game ^_^. 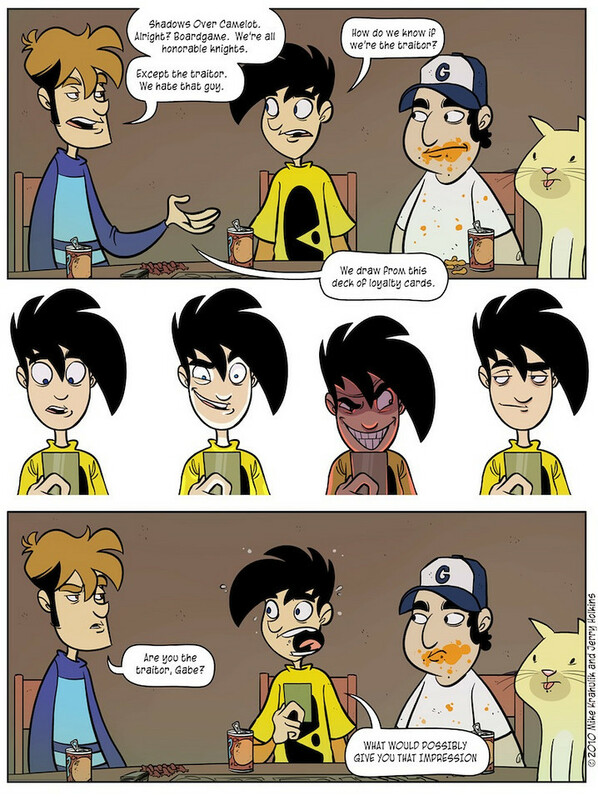 , It was brought to my attention by the kind folks at Penny-Arcade a few years back. I like my games to have an element of intrigue, something that keeps you guessing. Shadows over Camelot is a co-operative game, yet one of the players may be a traitor. There is something about betraying one’s allies, some deep seated need is quenched. It should arrive in a week, I am excited. Check back for clips of our first game session, and more strange musings of all varieties.